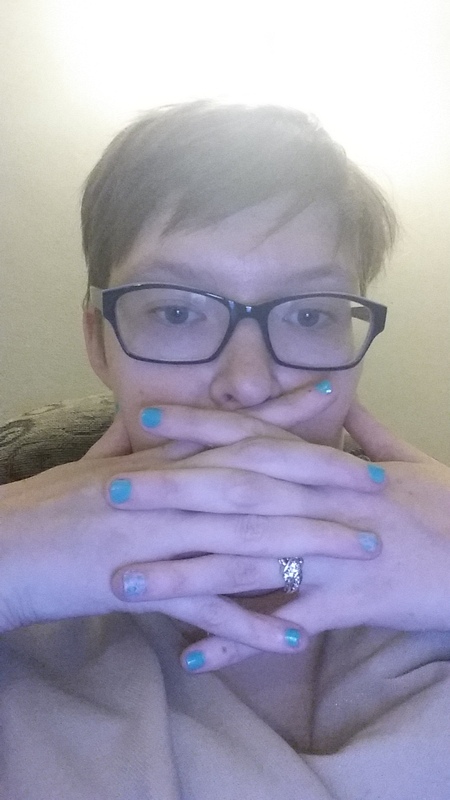 I did my nails semi-successfully for the first time last week! The $4 polish worked definitely more than twice as well as the $2 polish did, and I used a base coat with hardener, a top coat, and some mineral-gel-based petroleum-jelly substance to keep my cuticles clean. For the win! Edit: I went back to buy another bottle of the nicer polish, to replace the crappy one, and realized I’d been looking at the wrong price labels the first time. The “$4 polish” was actually TWO DOLLARS, and the “$2 polish” was… $0.69. If I’d seen that, even I would have known better! But on the flip side, I’m really surprised at how nice the $2 polish is, all things considered. I’ll do a “part two” of this next time I do my nails to show how I did it, step by step.